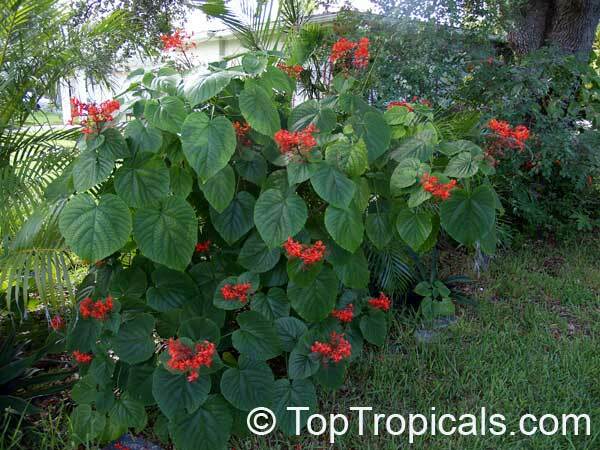 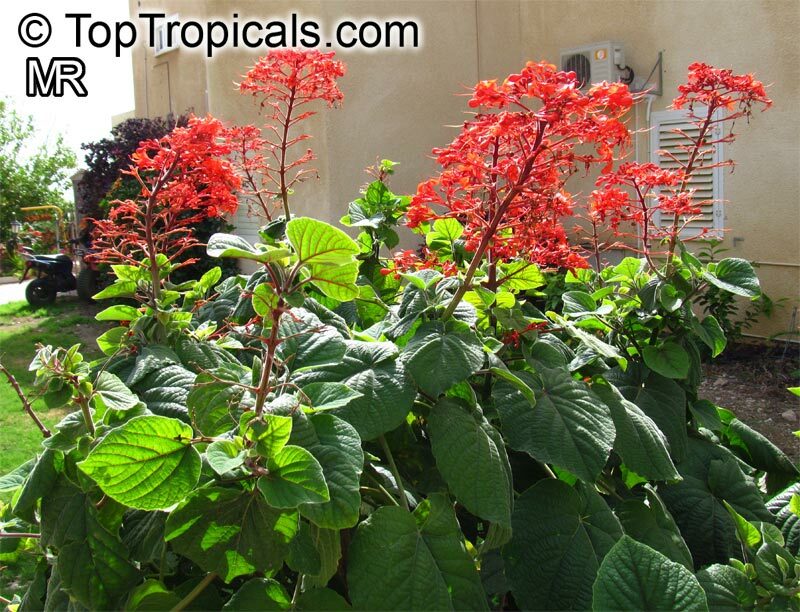 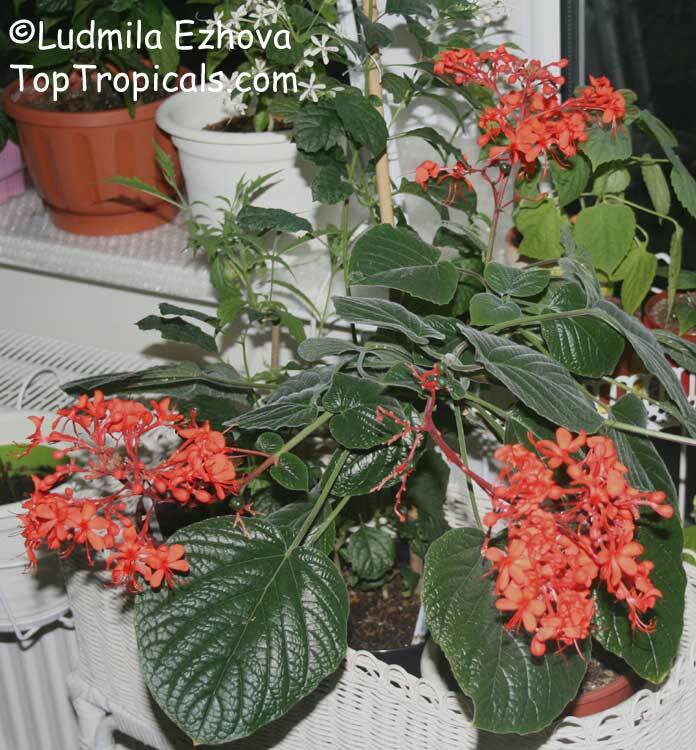 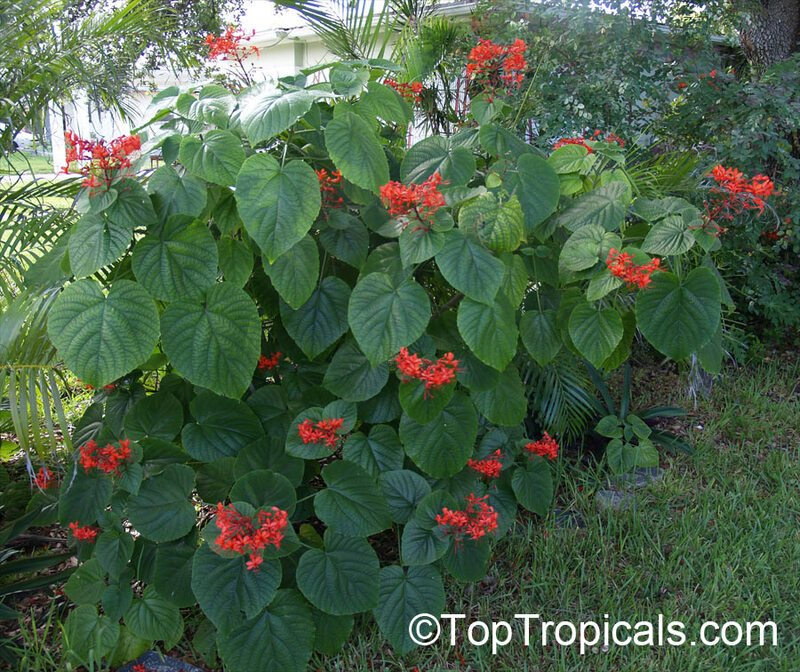 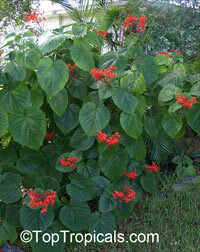 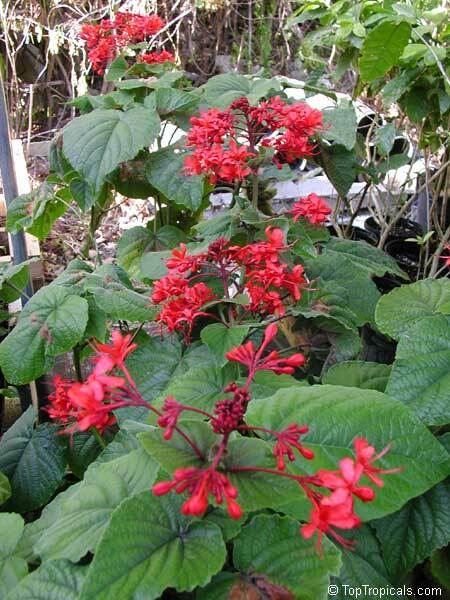 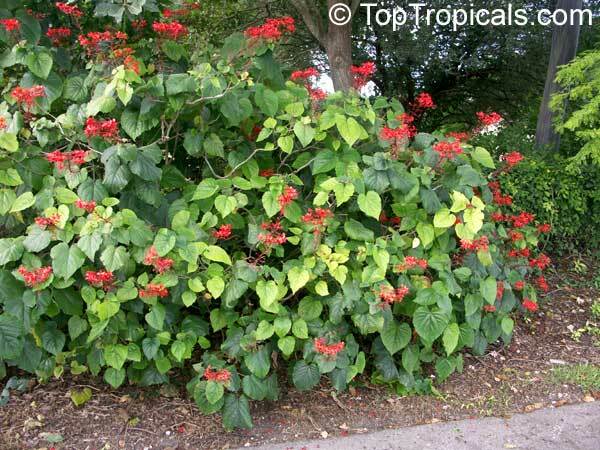 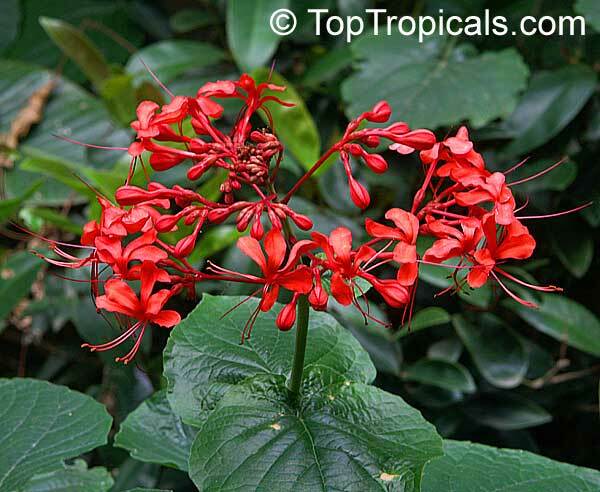 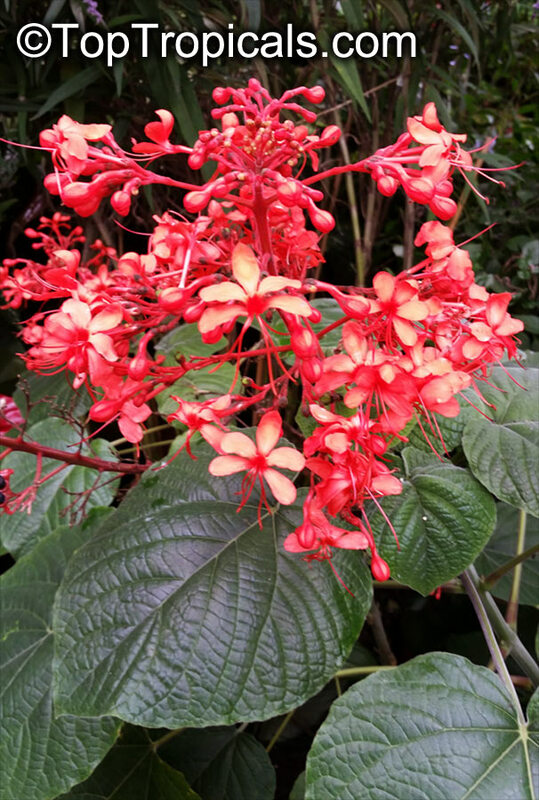 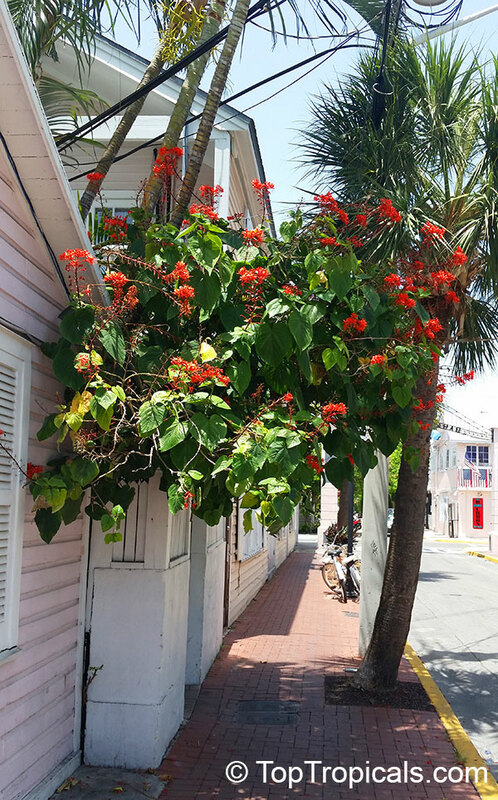 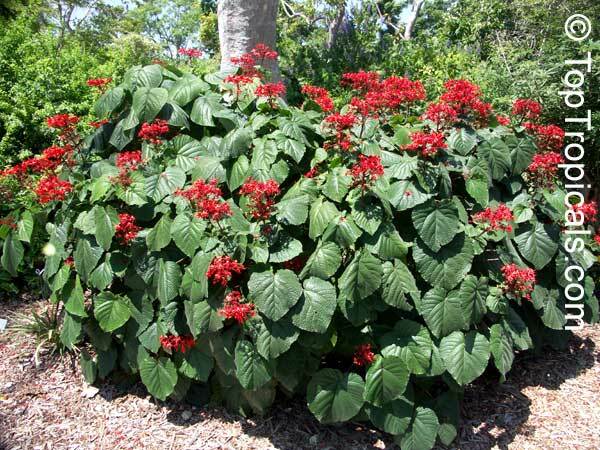 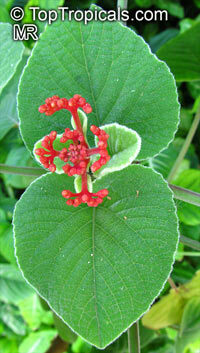 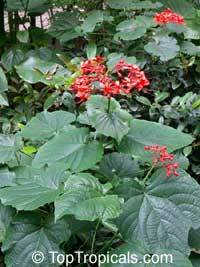 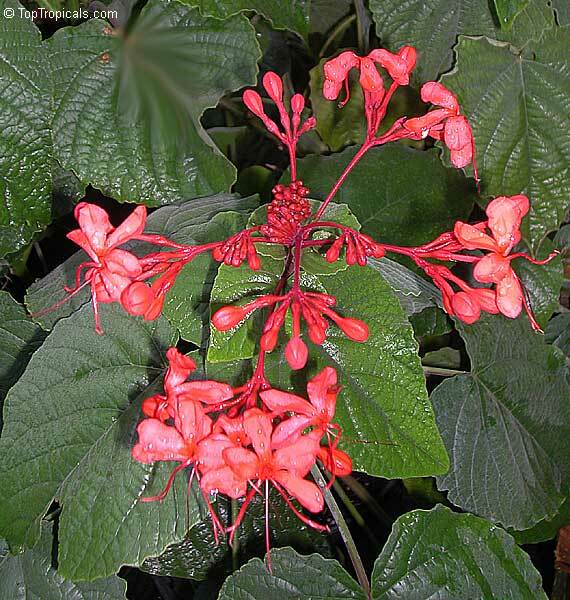 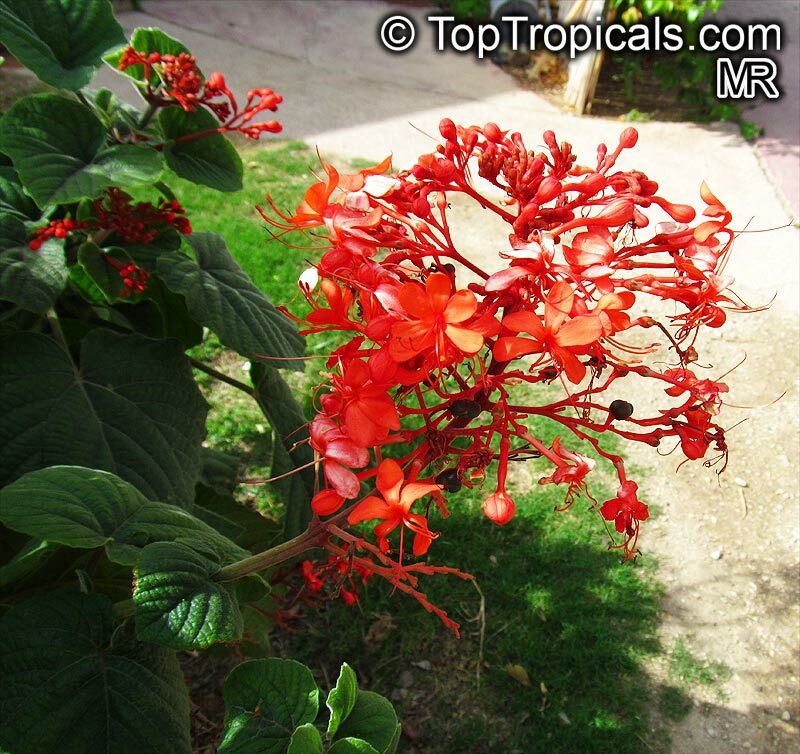 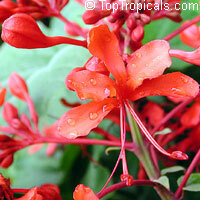 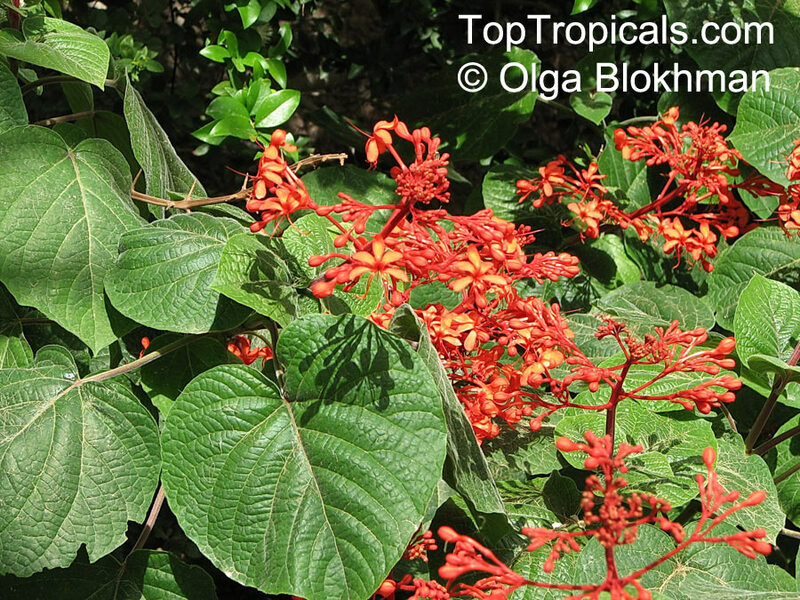 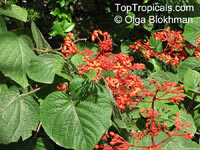 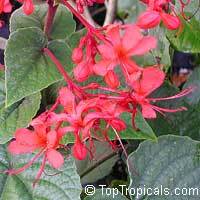 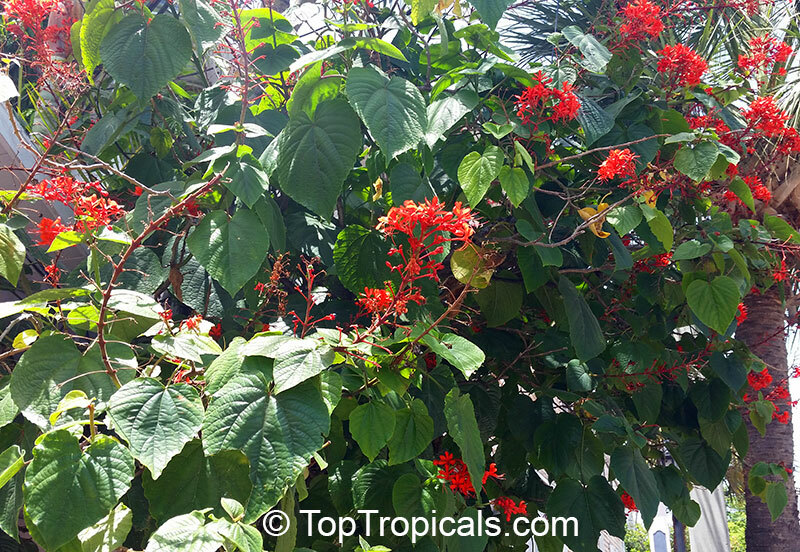 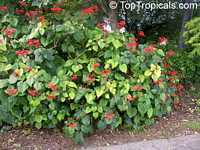 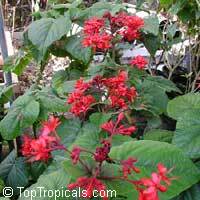 Large velvety leaves and the large quantity of red-flower clusters. 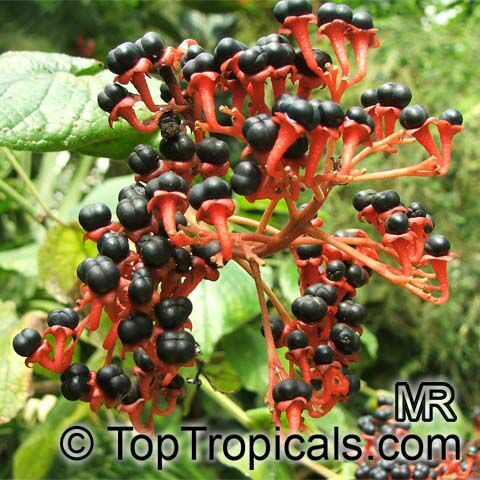 It is an important medicinal plant in Southwest China. 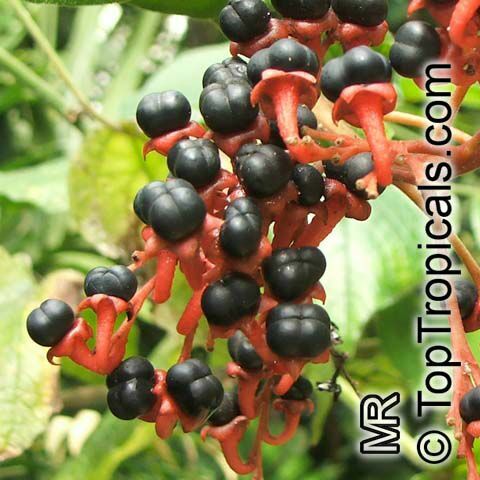 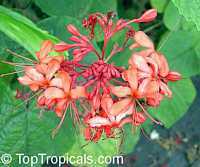 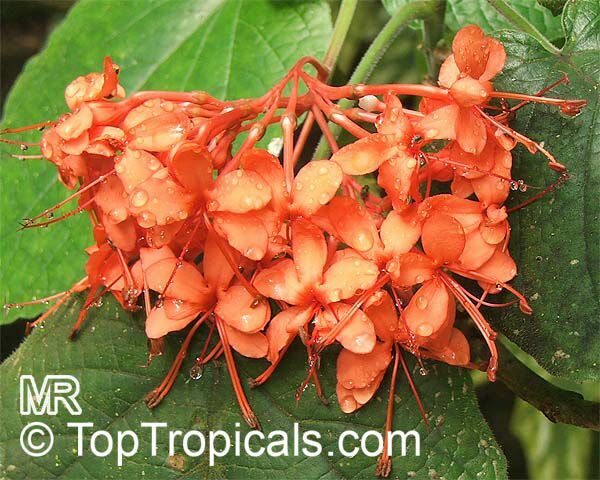 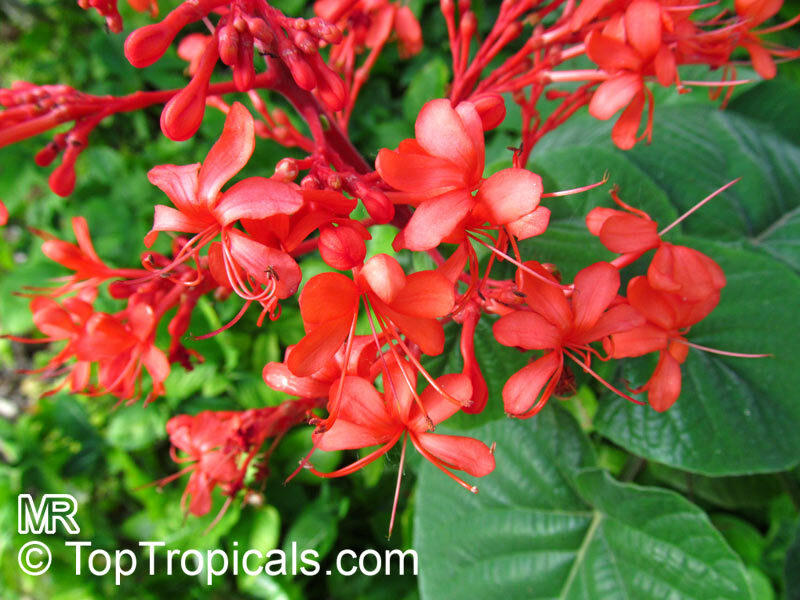 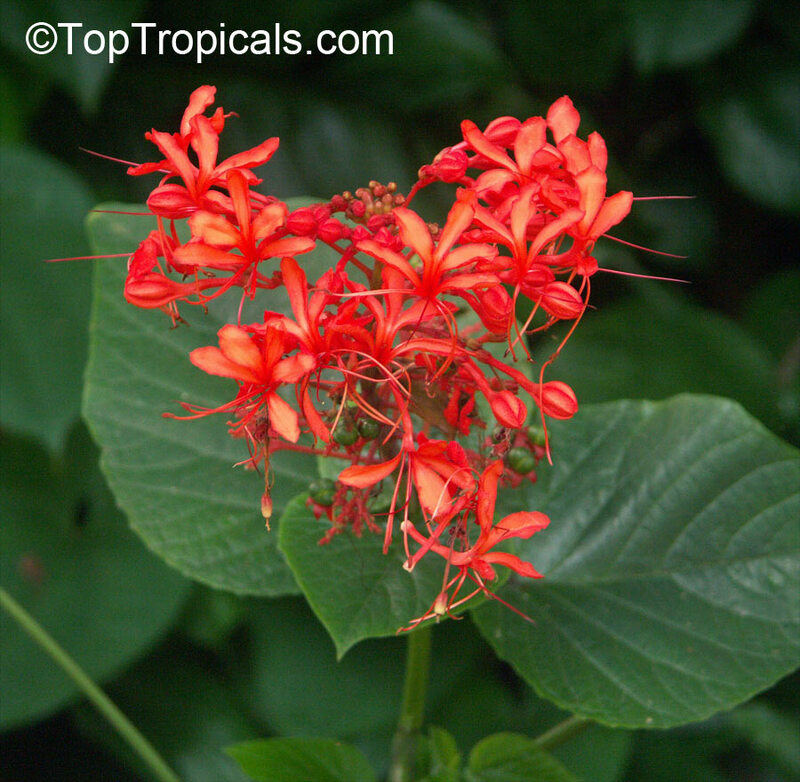 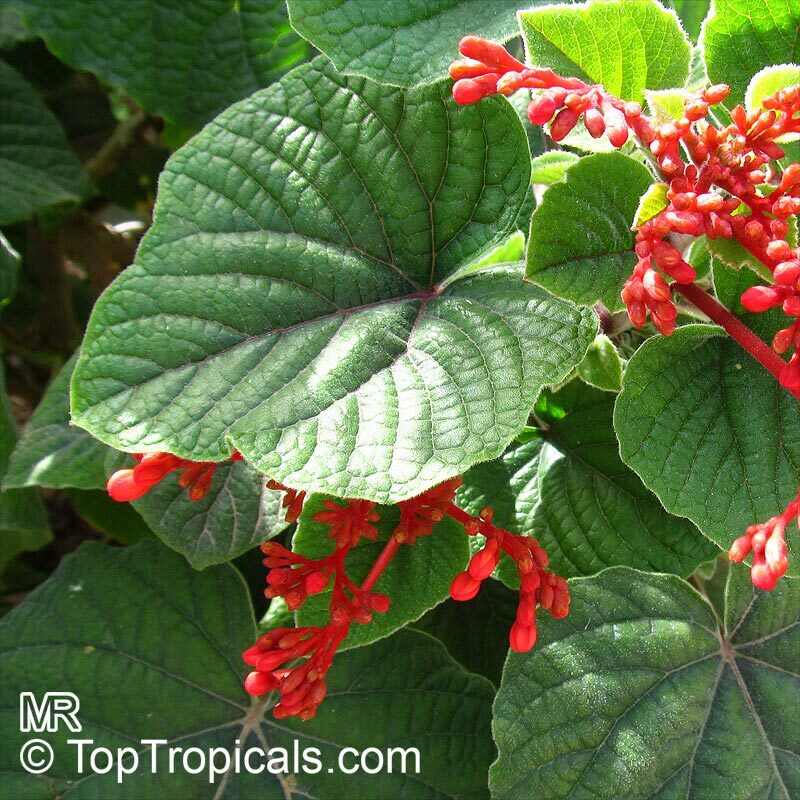 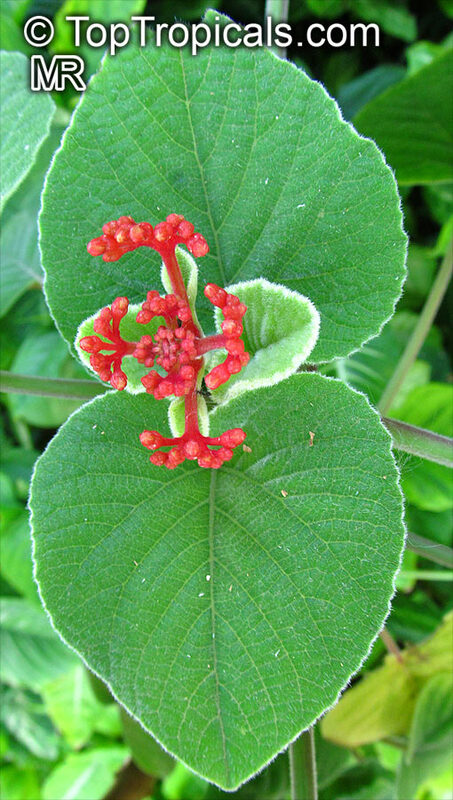 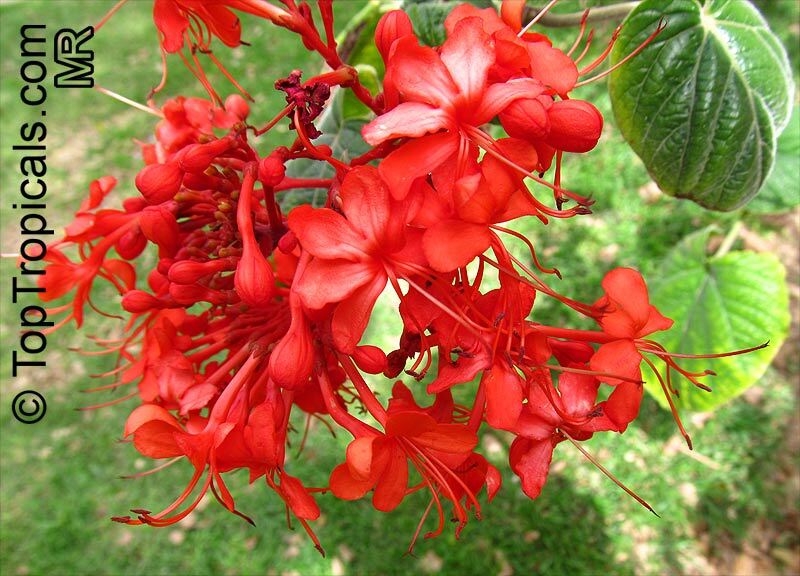 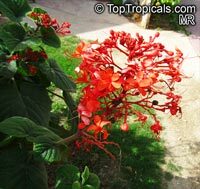 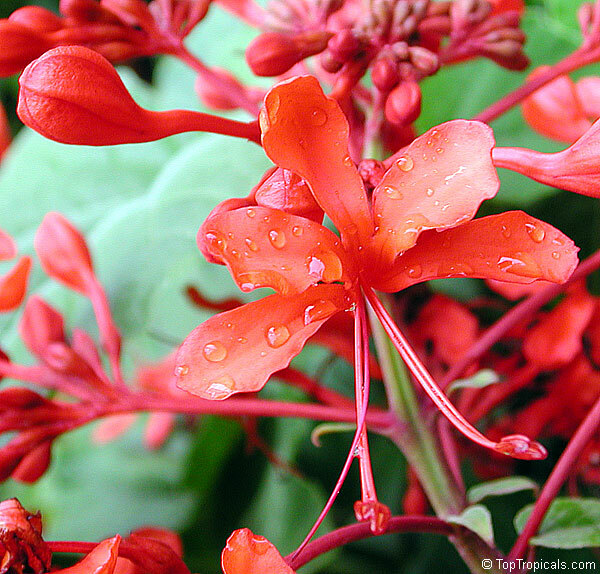 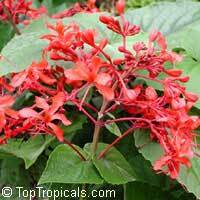 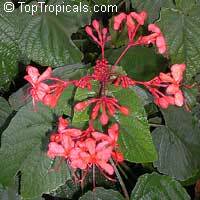 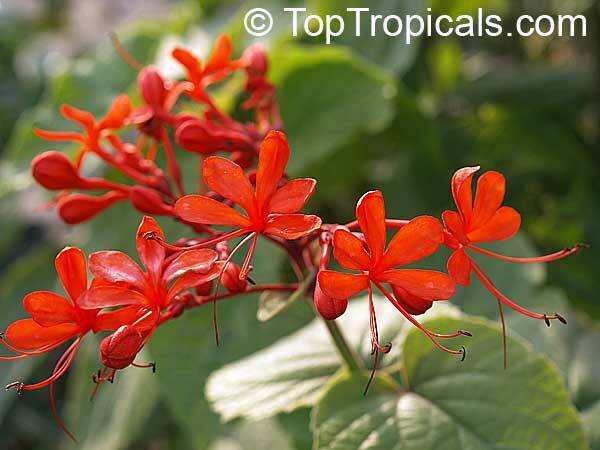 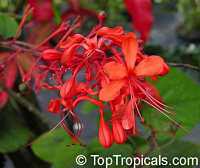 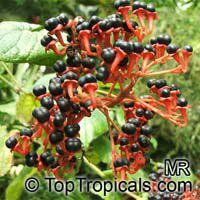 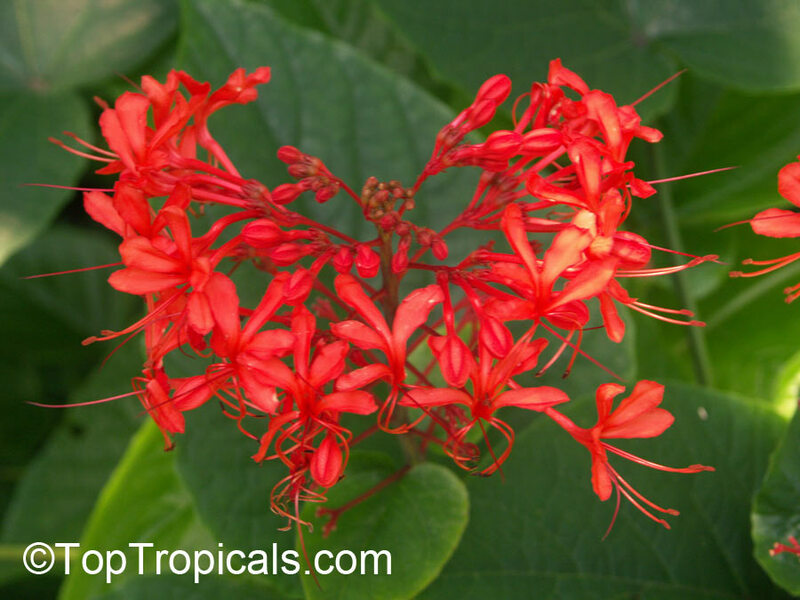 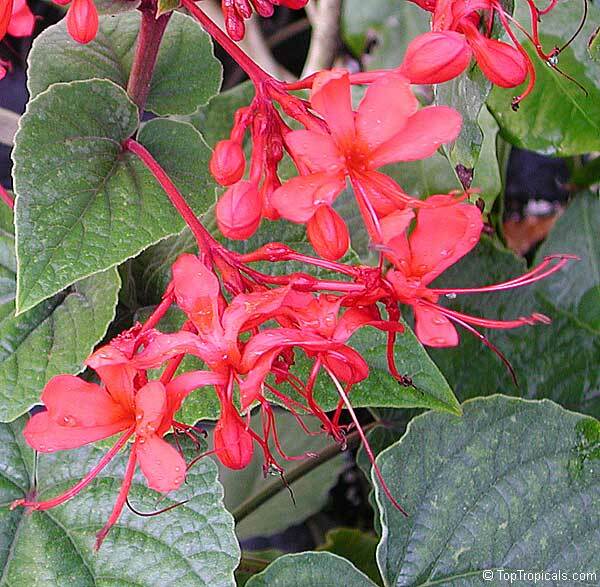 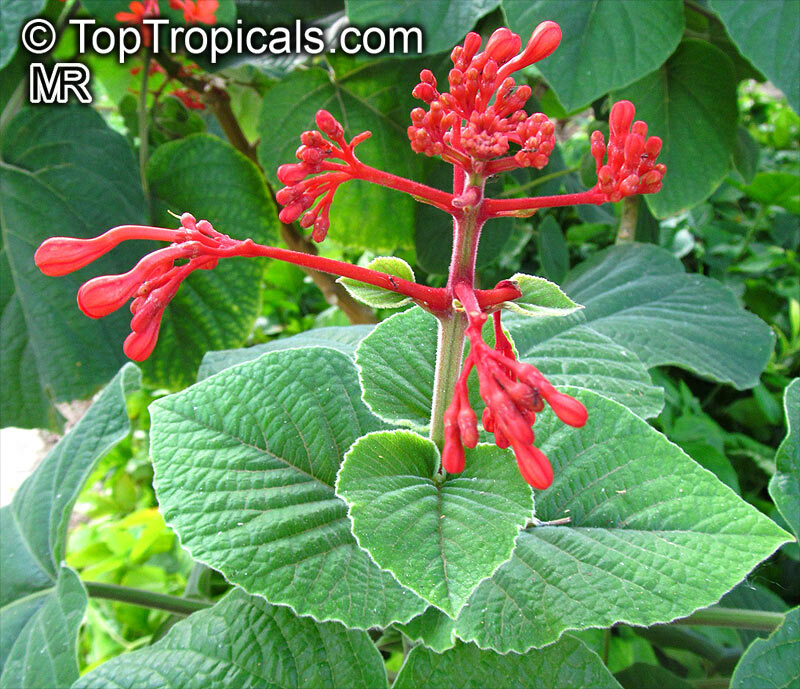 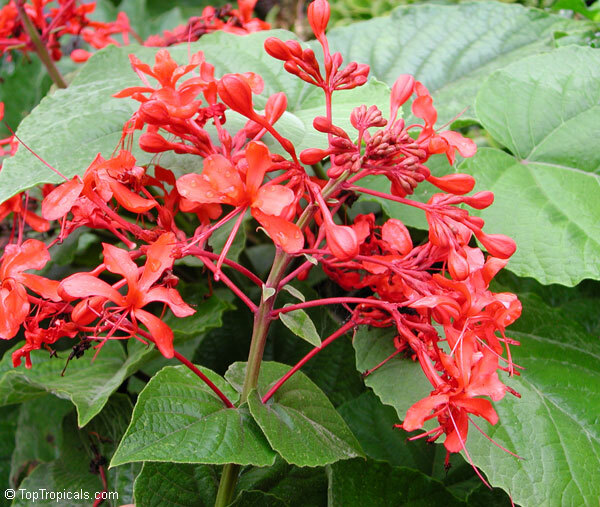 Its roots and beautiful red flowers are used to treat arthritis, liver problems, eye dysfunction, hemorrhoids, hernia, and insomnia. 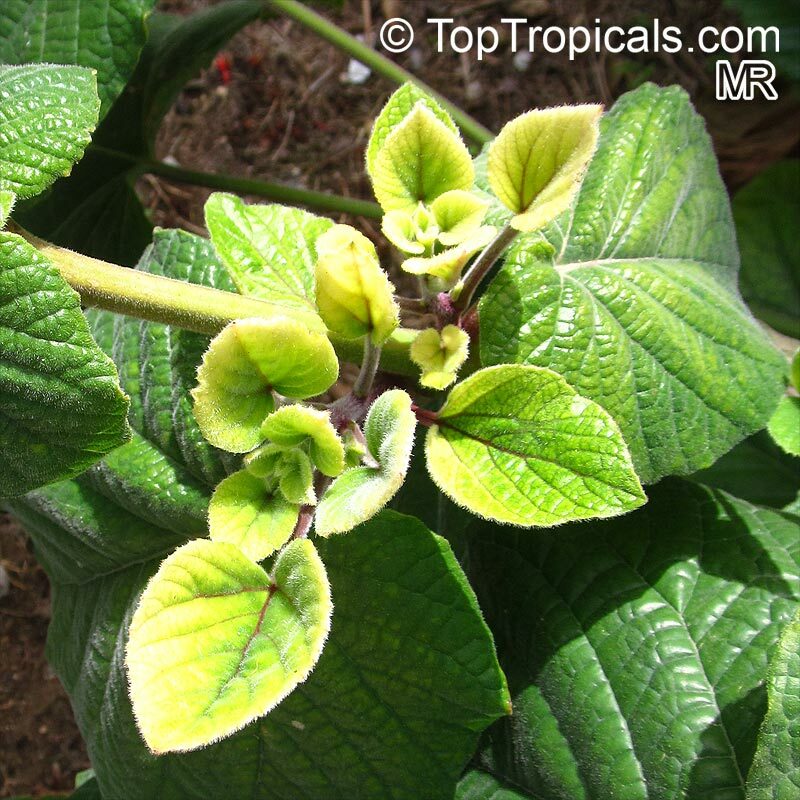 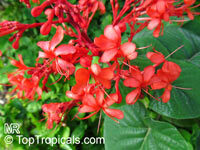 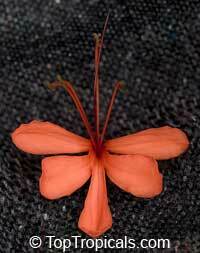 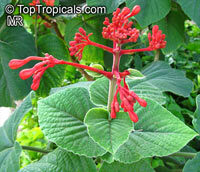 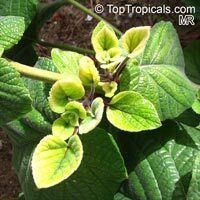 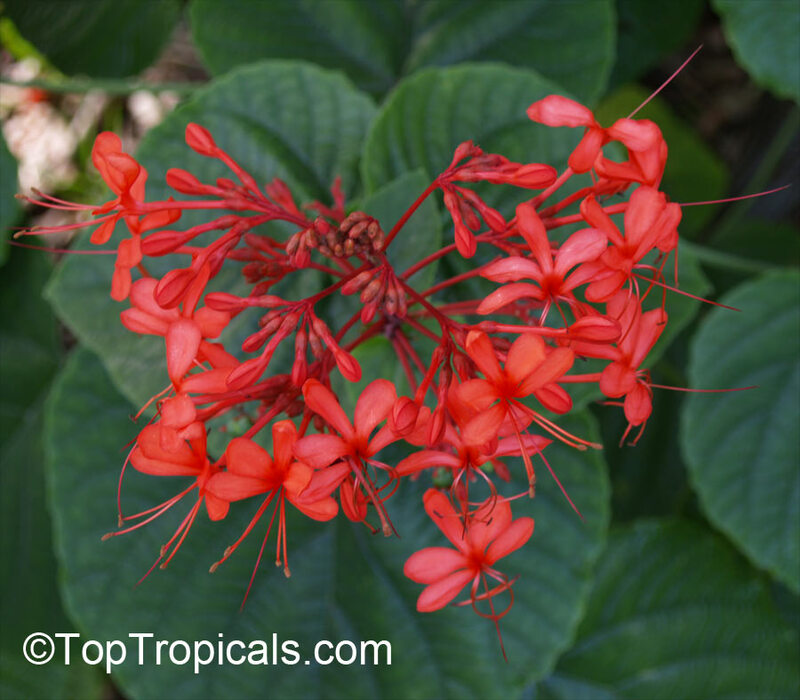 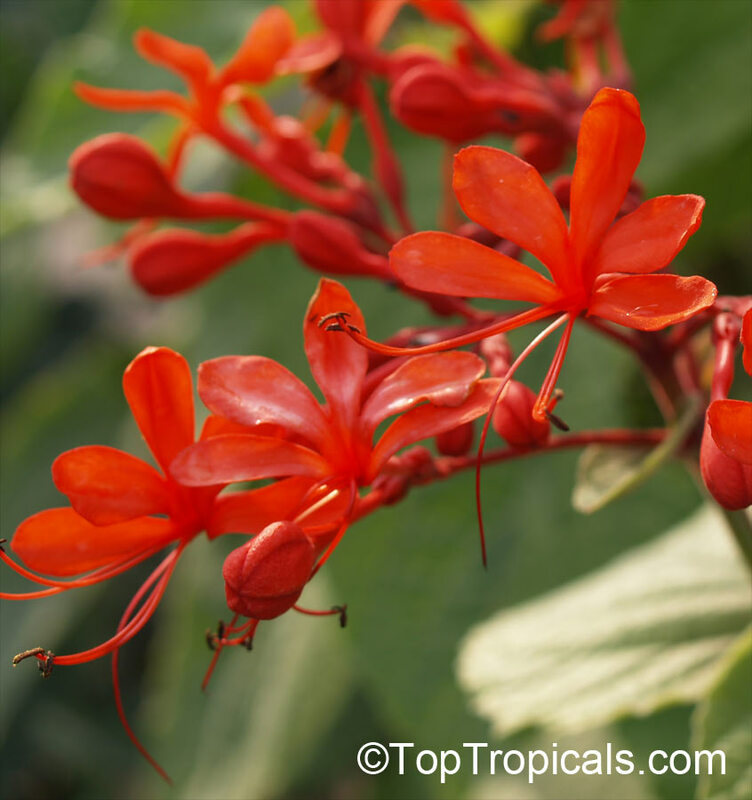 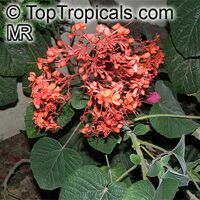 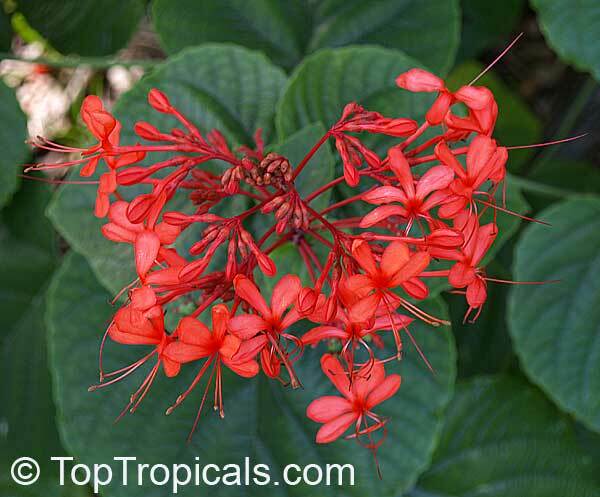 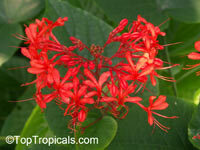 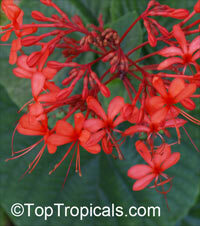 A plant with a multitude of beneficial functions and yet a marvelous ornamental flower for the warm humid garden.